Here’s a crazy combination of the tar pits experience and slime! In this slimey black “tar” is a dino skeleton for you to discover. 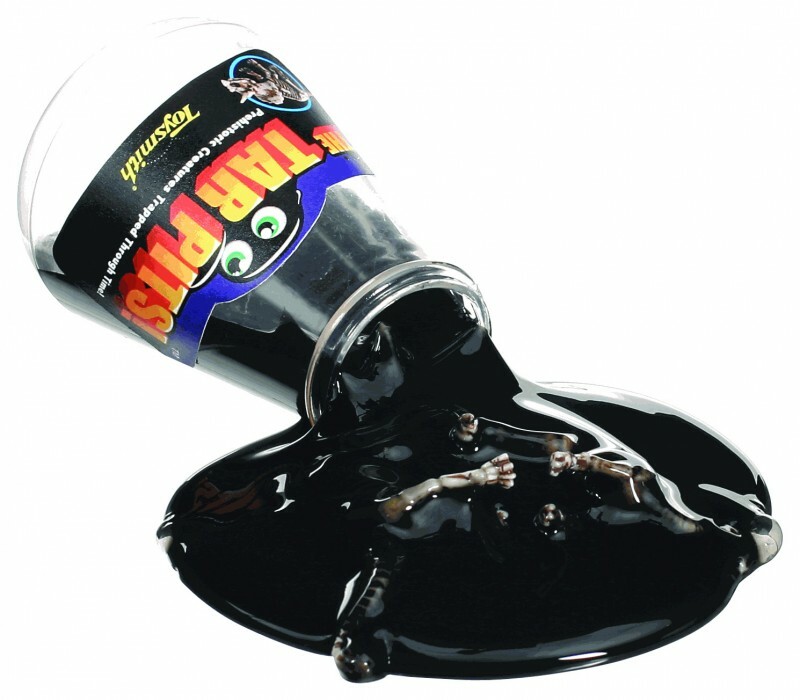 Of course, it’s not really tar, it’s that “slime” substance that looks like a liquid, but isn’t. Pretty cool, actually. I just opened up one, pulled out the slime, placed it on a plate, and came up with a styrachosaurus skeleton. Tags: fossil, pits, slime, tar.